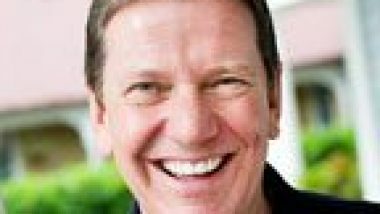 The following story is a guest blog post from Melanie Phillips, author of Love by Prescription. Two years ago I responded to an advertisement about getting something published and, though my intention was to publish a brief factual pharmaceutical article, somehow the publisher on the end of the phone talked me into sending a page of a romantic comedy. I had no clue of what to do, nor any confidence in my writing skills since I failed high school English literature. Nonetheless, I thought it would be fun to give it a go. And boy I could never have dreamed about how life-changing that event was going to be. Five weeks later the book was published. International interest sparked a movie version of the story which we filmed entirely in Perth. With no formal writing or filming experience I became the producer and was so impressive in the role that I was then appointed as a co-producer on the StrongMen movie based on the television series. I ended up at the Nashville Film Festival in Nashville, Tennessee. I was accidentally mistaken for an international celebrity as a consequence of the airlines losing my luggage and me turning up to an incredibly posh welcoming event in the clothes I’d been traveling in for 4 days. I was told to mingle with the big people as they were all at this event. Clueless as to their identities (I had meant to Google them before I arrived but ran out of time). Instead I got friendly with the limo driver, which proved to be a smart move as I thereafter traveled in the limo with all the execs and important people. Naturally I was also assumed to be one of them and was treated like royalty invited to all the fancy parties and red carpet events, having the most incredible experience of my life. A big American media company got interested in my project and is currently editing it in their latest state of the art studio. They are keen to do lots more projects together. I was then selected as a finalist in a Mexican Film Festival where I managed to make the front page of a popular newspaper and teamed up with Fernando Allende, one of the well-known Spanish American actors. We plan to bring his latest movie to Australia. Back in the US in November, I scored an American morning show television appearance and had a meeting with Terry Botwick and Ralph Winters of Xmen and Wolverine fame. I was then invited back to Nashville as part of the Nashville Film Festival family in April and as a VIP guest by my dear friend Andy van Roon (screenwriter for Steven Speilberg, Michael Uslan, Disney and many others as well as my personal movie mentor). I spent some incredible time with Michael Uslan, aka Mr Batman, met Nicole Kidman, and mingled with many others. And so what’s in the pipeline? 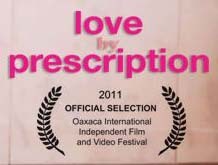 A Spanish version of my movie, Love by Prescription. Two sequels ready to be filmed. A children’s television series and pilot movie, Jesse G.
The release of StrongMen movie. I’ve still been writing more of my own stories but I’m also writing screenplays for other writers as well as my regular day job as a pharmacist. It’s all been so crazy and exciting and, if I wasn’t actually living it myself, I’m not sure I could believe it all. I often still think it’s a dream. I love sharing my incredibly accidental experience in the hope that it can motivate and inspire others to realize that wonderful amazing things can happen to regular people. You just have to believe anything is possible, dream big,and not be scared to step out of your comfort zone.